When Hormel Foods introduced a new brand recently, it called on external partner C.B. Powell Ltd. to effect the change with all of the Hormel Foods customers in Canada. The results were an extremely smooth transition, no disruption of sales and a Pride of the Jersey award for the team at C.B. Powell, a distinction usually reserved for Hormel Foods employees. 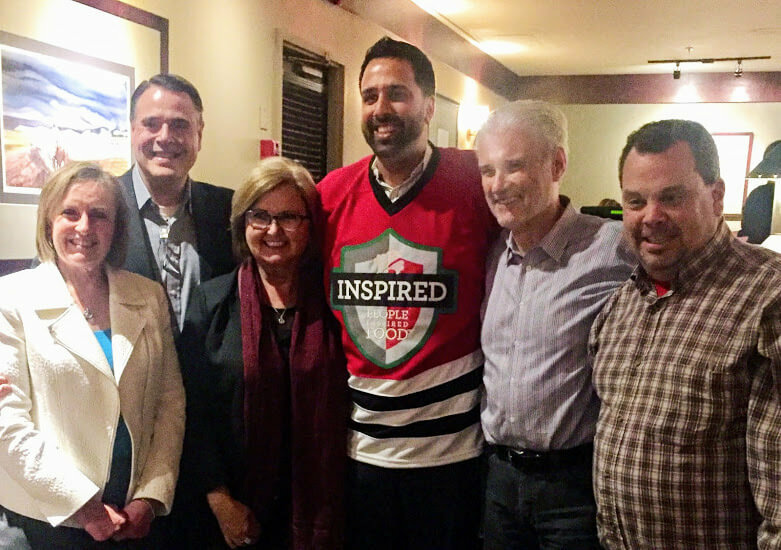 Cheryl Berry, manager of retail sales for Hormel Foods International in Canada; Larry Vorphal, President of Hormel Foods International; Maureen Lilly, vice president, Americas, Hormel Foods International; Mike Purewal, CB Powell; Colin Glaysher, CB Powell; and Stan Atkinson, CB Powell. 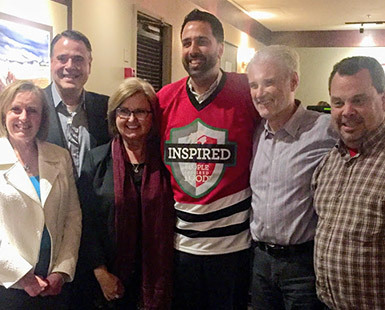 “I admire their focus and passion to ensure our brands are successful,” says Cheryl Berry, sales and marketing manager for the Canadian arm of Hormel Foods. Cheryl has worked with the team at C.B. Powell throughout her six years with the company, but the relationship is even older than that. “C.B. Powell has represented Hormel Foods for over 20 years,” she says. C.B. Powell Executive Vice President Colin Glaysher has been onboard for nearly all of them. 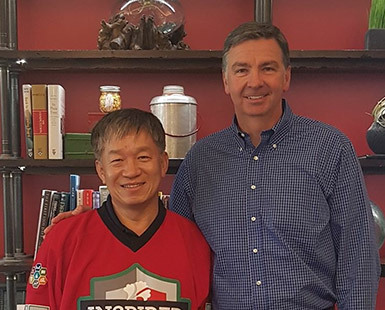 A 16-year veteran of the company – and the Hormel Foods account – Colin leads what he calls “a team effort” to distribute Hormel Foods grocery products throughout Canada. “Stan Atkinson oversees our company’s business management team. When he started his career with C.B. Powell, he was assigned to the Hormel Foods business. 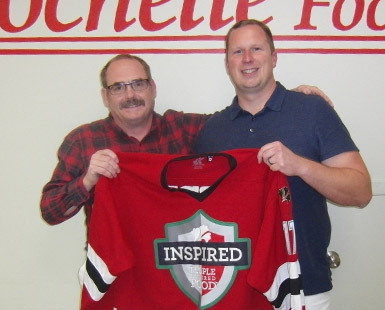 Mike Purewall is the current business manager for STAGG® Chili and Hormel® bacon,” Colin says. We also have a full logistics department that manages inventory, warehousing and customer delivery in addition to handling forecasting, a fully-automated fund management system and point-of-sale data analysis,” Colin says. I admire their focus and passion to ensure our brands are successful. Cheryl agrees wholeheartedly, rattling off a long list of tried-and-true brands such as STAGG® Chili, SPAM®, Hormel® bacon, Manny’s® and House of Tsang®. “C.B. Powell has helped Hormel Foods build these brands to their No. 1 position in Canada,” she says. In addition to getting the products on store shelves, which is job one, there are myriad other tasks and challenges that C.B. Powell handles with aplomb. The relationship goes both ways. To wit: STAGG® Chili once saved Colin’s big-game party. He’s not shy about calling it his favorite Hormel Foods product for that reason. “We always hosted a big-game party, and my wife would make homemade chili,” he says. However, one year she was out of town. Panicked, but not defeated, Colin took some cans of STAGG® Chili, put them in his slow-cooker and added a dash of chipotle seasoning. “Everyone thought it was homemade,” he says. The C.B. Powell group is proud to represent products that Colin calls “excellent.” Even more fulfilling is the working relationship with Hormel Foods that has grown over the years. “Hormel Foods recognizes and rewards good work,” he says. C.B. 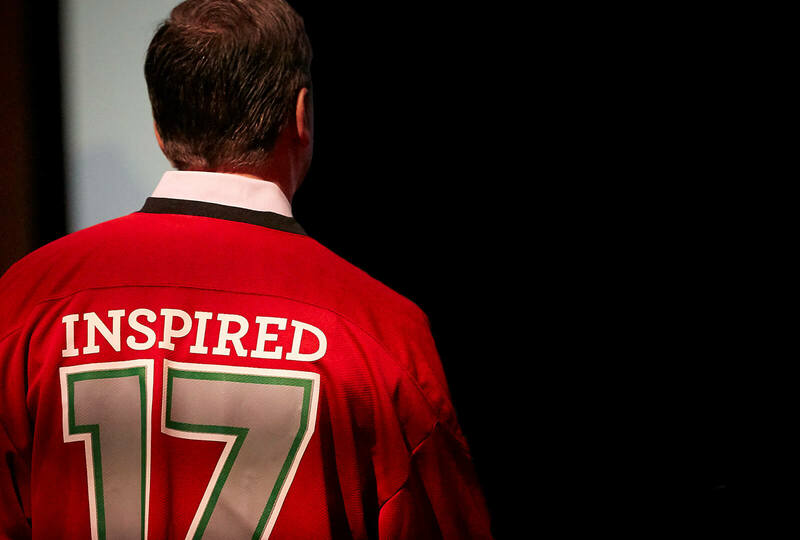 Powell was the first external partner to receive the company jersey, something that Colin and team were “very, very honored by.” Another gesture by Hormel Foods is an annual holiday luncheon in December. “It might sound corny, but you feel appreciated. It motivates you to do more,” Colin says.